A look at the strategies available to companies that are looking to minimise their corporation tax bill. The UK has one of the lowest rates of corporation tax in the developed world. Additionally the infrastructure of corporation tax reliefs available to any company or organisation based in the UK is one of the more straightforward to navigate. The rates for corporation tax on any company’s profits prior to April 1 2015 depends on the amount of profit achieved by a company. The small profits rate applicable on profits of less than £300,000 per annum is 20%. This tax rate is applicable to profits earned from 1 April 2012, 1 April 2013 and 1 April 2014. The main profit tax rate levied on profits above £300,000 per annum differs according to the year in which the profits were achieved. The rate from 1 April 2012 is 24%, from 1 April 2013 is 23% and from 1 April 2014 is 21%. The corporation tax rate from 1 April 2015 is a flat rate of 20%. This rate is applicable to main and small profits. The small and main tax rates are based on a full year. The tax thresholds are reduced in line with the length of a company’s accounting period. For example – if a company’s accounting period is for 6 months rather than 12 months the profit threshold is reduced by 50% to £150,000. Associated companies where one company may own and control others will share the appropriate tax thresholds. If one company owns 3 other companies then the tax threshold of £300,000 will be divided by 4, equalling a small profit threshold of £75,000 for each company. If a company’s accounting period straddles 2 different tax years then it will have to pay the different tax rates for those years. For example, if a company’s accounting year commenced on 1 March 2014 and finished on 28 February 2015 the company would pay the tax rate applicable for the corporation tax year starting 1 April 2013 for 31 days and the rate applicable for the corporation tax year starting 1 April 2014 for 334 days. Get in touch to talk about corporation tax. A company may deduct the cost of running the business from its profits before tax when its accountants are preparing the end of year accounts. Some expenses may not be set against company profits pertaining to corporation tax. Examples of this are non-work related travel costs and the majority of entertainment expenses, which must be added back to company profits when a company tax return is prepared. items only used for business entertainment. The company must initially work out the value of the assets, which is usually based on what the company paid for the item. However, if the item was a gift or was owned by the company owner before it was used by the business then the value is what it could be reasonably expected to sell for on the open market. finance costs and interest costs for purchasing assets. These costs can be claimed as business expenses if the company is run by a sole trader or is a partnership. These costs must be deducted from a company’s profits if the company is a limited company. We can help you with allowances and deductions. It is vitally important to maintain accurate records in order to calculate any corporation tax payable. These records should include all receipts, expenses, and all sales and purchases of goods by the company. Records of all company assets and liabilities should be kept up to date at all times. If a company is engaged in the sale of goods then stock records should also be kept. Business and personal expenditure records must be kept separate at all times. Corporation tax records must be retained for 6 years after the tax year for which they were prepared. All corporation tax returns must be filed online along with a company’s tax calculation and financial accounts. If a company needs to adjust the return, this can be done up to 12 months after the corporation tax filing deadline. HMRC must be informed if any errors are discovered after this. 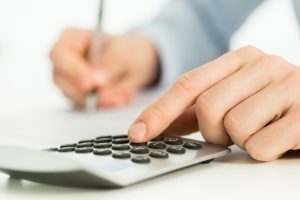 There is a long list of allowances that are potentially available, so it is worth taking a long and considered look at them to see how many, if any, are applicable to the business. A company can claim deductions on share options and awards; relief is available on employee share options. The deduction is available for an amount equal to the market value of the shares and how much employees paid for them. Pension contributions are tax deductible when they are paid. Thus it is advisable to pay into pension schemes prior to the end of a company’s financial year in order to maximise the deductions and accelerate the tax relief. Checking and ensuring that a company is paying the correct amount of tax is essential. Large companies usually have to pay their corporation tax in instalments based on forecast profits. If a company regularly and accurately forecasts its profits these instalments can be reduced and tax payments will reduce accordingly. There is also potential scope for companies to claim back instalment over-payments. Losses can also be offset against corporation tax. A company whose accounts show a loss one year can secure a tax refund by carrying back losses to the previous year or by carrying losses forward against subsequent profits until the loss is distinguished. If a company pays its corporation tax bill early then HMRC will return some of the amount in the form of interest. There is no great secret to reducing corporation tax. If a company’s accountants practice due diligence at all times corporation tax will be paid at the lowest amount possible. Contact us to talk about business taxation today.